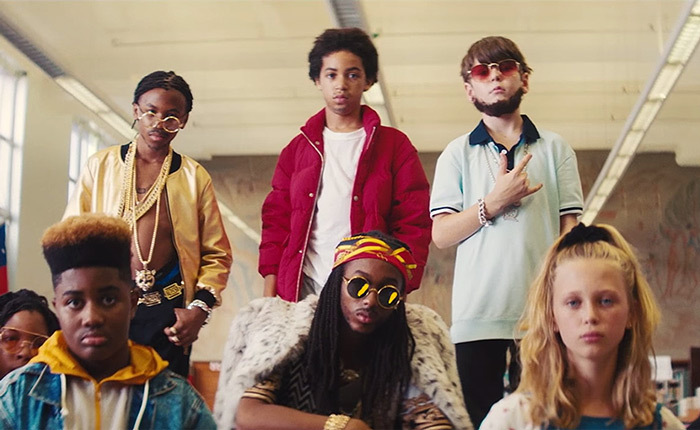 Directed by Nathan R. Smith, the cinematic clip finds 2 Chainz and his crew back in high school. Child actors take on the roles of 2 Chainz, Drake, Quavo, and Murda Beatz as they sit in detention and cause mischief. Dripping in a fur, shades, and head scarf, the young Drench God and friends take over the library, terrorize their teachers, and throw a party in the halls. The newly-married 2 Chainz is now readying his fifth studio album Rap or Go to the League for release later this year. Take it back with Tity Boi.